The work of Dr Robert Parkes sits at the intersection of history education and public history, underpinned by curriculum theory. Senior Lecturer in Curriculum Studies and Deputy Head of School, Teaching & Learning within the School of Education, Robert is interested in how people engage with the past both within schools, and within daily life. As Convenor of the internationally respected HERMES History Education Research Network (HERMES), Robert spearheads the UON team involved in collaborative global projects in the sphere of public history and history education. He is Founding Editor of the internationally recognised Historical Encounters: A Journal of Historical Consciousness, Historical Cultures, and History Education. The invocation of historical context and connections as a means of self-formation and legitimising authority in the present are of great interest to Robert, especially within, but not limited to, the arena of martial arts in which he holds three black belts. A core author for Public History Weekly, Robert creates work that both measures and informs public perceptions of history. Robert’s book ‘Interrupting History: Rethinking Curriculum After 'The End of History’ was published in 2015 and explores concepts central to his work. “The book is about postmodernism and history, and the idea of the end of history. How can we teach history after the end of history?” Robert asks. When referencing the ‘end of history’, Robert is referring to the postmodern disruption of singular perspective dominant historical discourses with coexisting and often competing histories of the same events seen from differing perspectives. “We are faced with these competing narratives, how should they be approached in the classroom?” he queries. He is now working on a joint book project for Palsgrave, exploring possible pedagogical responses to this question from around the globe. “Most of the books in this space describe the History Wars in their various countries, but they don't tell teachers what to do. This book is trying to collect scholars from all over the world saying how should we respond to this as teachers,” he explains. Debate internationally has often concerned itself with whether history education should be taught through a disciplinary model as a discrete subject, or an interdisciplinary curriculum model involving other subjects under the umbrella of social science. Robert is a firm believer that regardless of curriculum, tertiary level history education should be taught through a metadisciplinary approach. “Even if the curriculum calls for a disciplinary or an interdisciplinary model, history educators need to be metadisciplinary,” he asserts. HERMES are looking to contribute to the debate about what people actually learn in history at school. “When people are asked they often say they did not learn very much,” Robert claims. With his HERMES colleagues, Robert is working on a project entitled ‘Remembering Australia’s Past’ (RAP), which explores the depth of knowledge of coexisting discourses within pre-service teachers’ understandings of Australian history. Adapting highly successful narrative research methodology developed by Canadian Professor, Jocelyn Létourneau, members of the HERMES research group are asking pre-service history teachers to write for 45 minutes in response to the request to “Tell the history of the nation in your own words”. An extension of the RAP pilot study, the now international ‘Comparing Our Pasts’ (COP) project involves collaboration with researchers in Canada, Sweden and New Zealand, with whom results will be shared and compared. Key to the comparative study will be determining how the Australian, Canadian, Swedish and New Zealand participants address the Indigenous (Aboriginal and Torres Strait Islander, First Nation, Sami, or Maori) histories of their nation. Early findings from the Australian data suggest a rather uncritical view of dominant discourses, with the depth of many narratives seemingly ossified at a primary school level. Robert’s HERMES colleagues are also using this data to inform their work on public perceptions of the Gallipoli campaign and Colonial settlement. Undertaking a sabbatical in 2013 as a Visiting Research Fellow with the Educational History and History Didactics group in the Department of Historical, Philosophical, and Religious Studies at Umeå University, Sweden, Robert encountered the concept of historical culture, a concept he believes reinvigorated his work. “Historical culture is the encounters you have with history in your everyday life,” he asserts. Robert has also enjoyed success with his more publicly accessible work featured in Public History Weekly, an international blog-journal published out of Switzerland. Among the many postgrad students Robert is supervising, is one looking ethnographically at the pedagogy of martial arts. Robert’s first published article was a discussion regarding the mantle held by Ninjutsu as a unique martial art. Published in 1994, before it was commonly accepted, the piece argued that Ninjutsu is in fact a branch of the samurai arts. “I am examining self formation in martial arts, which fits into my work on identity,” Robert, who has black belts in a Filipino, a Chinese and a Japanese martial art, explains. With his long-term interest validated by a recent explosion of academic work focusing on the culture, history, and pedagogies of martial arts, Robert is looking at focusing more work on the culture of martial arts through the lens of public history. Associate Professor Robert Parkes is Acting Head of School in the School of Education, and Convenor of the HERMES History Education Research Network, concentrated at The University of Newcastle; Founding Editor of Historical Encounters: A Journal of Historical Consciousness, Historical Cultures, and History Education; a member of the Editorial Board of Agora / Sungråpho; a Core Author for Public History Weekly; Founding Co-Convenor of the History and Education Special Interest Group within the Australian Association for Research in Education (AARE); and a member of the Academic Advisory Board of the International Society for History Didactics (ISHD). In 2013 he was Visiting Research Fellow with the Educational History and History Didactics group in the Department of Historical, Philosophical, and Religious Studies at Umeå University, Sweden. His research interests include: historical theory, hermeneutics, and history education; historical consciousness, public history and historical culture; history teacher education; and curriculum history, theory and politics. He also has an interest in martial arts training as a form of bildung (self-formation). 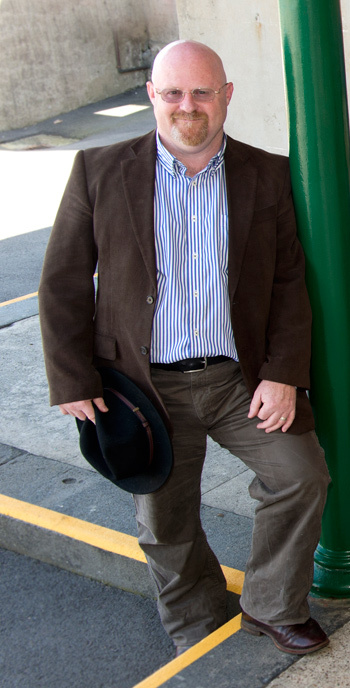 Robert completed his Bachelor of Education (Hons) degree at the University of Sydney, where he was a recipient of the Newcombe Hodge Essay Prize (1997), and a Dean's List Scholar throughout his candidature, graduating the equivalent of "dux litterarum" with Class I Honours and the University Medal (2000). Robert was appointed to Charles Sturt University (Bathurst, NSW) in 2003, where he was a foundation member of the Subjectivities in Teacher Education (SITE) Community of Scholars led by Professor Bill Green; a key organiser and presenter at the New Psychologies in Education symposium (2004); and gained a reputation for pedagogical innovation. He completed his doctorate in early 2006, under the supervision of Professor Jenny Gore. He joined The University of Newcastle in January 2007. During 2008-2011 Robert served two consecutive terms as Deputy Head of School, Teaching & Learning, providing leadership in the most wide-ranging and substantial undergraduate and postgraduate curriculum renewal projects within the School of Education for over a decade. In 2012 he accepted a Ministerial appointment to the Hunter Institute of TAFE Advisory Council, and in 2015 returned to the role of Deputy Head of School, Teaching & Learning. He teaches courses in History, Social and Screen Media Education; and supervises doctoral and research masters students in the area of History, Humanities, and Social Science Education. Robert's scholarly interests and contributions are located within the field of Curriculum & Pedagogy studies (with a particular focus on History, Humanities, and Social Science Education). His research interests include: historical theory, hermeneutics, and history education; historical consciousness, public history, and historical culture; History teacher education; curriculum history, theory and politics; and martial arts training as a form of bildung. He has particular expertise in historical and philosophical (poststructural, postcolonial and hermeneutic) research methodologies; and has taught Post-Reconceptualist Curriculum Inquiry at the AARE Theory workshops. He is convenor of the HERMES History Education Research Network, and is currently supervising research students whose projects are focused at the interface of History education, curriculum history, historical consciousness, and public history. Robert's research and scholarship has contributed to understandings of History curriculum as postmodern, post-colonial, and political text; the curriculum politics of Teacher Education; poststructural curriculum theory; and History education as a form of hermeneutic inquiry. His current scholarly projects focus in various ways on the meta-historical understandings (epistemologies) and historical (self)consciousness required by history educators to navigate rival narratives, fake news, etc. He is also co-editing a collection for Allen & Unwin focusing on beginning History teachers in Australia, with Associate Professor Tim Allender (University of Sydney), and Dr Anna Clark (University of Technology Sydney). He is currently researching: with Professor Christian Mathis (Zurich University of Teacher Education) the History-oriented epistemic cognitions of pre-service teachers; with Dr Debra Donnelly (University of Newcastle) the motivations and historical orientations of people involved in a host of retro-activities, such as historical battle re-enactment, Historical European Martial Arts (HEMA) recreation, and historical fantasy role-play; and with Dr Phoebe Everingham (University of Newcastle) the Afro-Brazilian martial art of Capoeira and its implications as a decolonizing pedagogy as it is translated into a contemporary Australian context. Influences of Postmodernism, Poststructuralism, Post-colonialism, or Hermeneutics on the Educational Imagination. Robert's diverse teaching career has included work in various capacities as a full-time martial arts instructor (5th Dan Black Belt in Togakure Ryu Ninjutsu, and instructor licenses in Wing Chun and Non-Classical Kung-Fu and Arnis/Eskrima/Kali); communication consultant; lecturer in and practitioner of Shiatsu and Oriental Medicine; School Network Administrator; History, Technology and Learning Support Teacher in suburban high schools in Sydney; and sessional tutor and lecturer in TESOL at the University of Sydney. His first full time appointment as a university lecturer was to Charles Sturt University (Bathurst) where he coordinated courses in a diverse range of areas, and gained a reputation for pedagogical innovation [recognised through invited presentations to the: Faculty of Education Biennial Forum; Centre for Learning and Teaching; Foundation of University Learning and Teaching program; and Charles Sturt University Professors' Forum]. He has significant experience and expertise in university program and course design [having now been responsible for two major revisions of teacher education programs at the University of Newcastle in response to external accreditation policy changes], and teaches courses at both undergraduate and postgraduate levels in the area of curriculum leadership, history and social education, and screen media literacies. He is also Kali instructor at, and Co-Director of, the Novo Flow Academy that specialises in the teaching of musical, movement, and martial arts that have an emphasis on "flow". Robert uses various approaches in his teaching, including project based learning, cognitive apprenticeship, authentic assessment, and a range of cooperative learning pedagogies. As a teacher, he seeks to foster a learning environment characterised by high intellectual challenge, high engagement, and appropriate support; moving as required between 'the sage on the stage' and 'the guide on the side'. Robert approaches education as a hermeneutic activity where the goal is the recognition and/or transformation of our practical capacities and intellectual horizons. He is committed to nested curriculum designs, where the approach that is taught is also what is practiced, interrogated, and assessed. He seeks to develop thoughtful educators with versatile repertoires and meta-theoretical understanding, who can provide defensible and informed justification for their actions, while navigating the complexities of the pedagogical encounter. Robert is currently serving a fifth term of appointment to the office of Deputy Head of School, Teaching and Learning. During his first two terms as Deputy Head of School, Teaching and Learning (2008-2009, 2010-2011) he provided academic leadership during a period of significant policy change within the field of teacher education specifically, and the higher education sector more generally, leading the the most wide-ranging and substantial undergraduate and postgraduate curriculum renewal projects within the School of Education for over a decade. In his current terms of office (2015, 2016-2017, 2018-2019) he has again been responsible for stewarding the redesign of every undergraduate and postgraduate program within the School of Education, in response to new national teacher education program standards, a changing market, and the need to offer greater qualification flexibility and authentic learning opportunities to pre-service teachers. In the role of Deputy Head of School, Robert chairs the School of Education Teaching & Learning Committee, and has portfolio responsibilities within the School of Education - one of the largest providers of initial teacher education in Australia - for a wide range of academic matters including program accreditation and transition, course quality and availability, complaint resolution, and curriculum renewal. During his career, Robert has also contributed to Academic senate working parties on course outlines, course levels, and policy streamlining; piloted and assisted in the refinement of the University's course related ethics approval (CREA) process; served on a range of committees including School of Education interview panels, the Faculty of Education and Arts Progress and Appeals Committee, Faculty A-C Promotion Committee, and University Equity and Teaching & Learning Grant Committees; and acted in the role of Assistant Dean Teaching & Learning for the Faculty of Education and Arts (2010), Program Convenor of the Bachelor of Teaching (Secondary)/Bachelor of Arts program (Callaghan Campus), and Chair of the Streamlining Academic Policies working party for Academic Senate (late 2011). He has been both a seconded and elected member of the executive committee of the Australian Teacher Education Association (ATEA) and maintained their official website from 2008-2011. From 2012 he served a Ministerial appointment as the Tertiary Sector representative on the Hunter Institute of TAFE Advisory Council, until it was dissolved in 2016. James Cook University, Australia | History & Geography Curriculum Reform. The University of Adelaide, Australia | Teacher Education Policy Reform. Deakin University, Australia | Asia Literacy & History Education. The University of Adelaide, Australia | Historical Fiction & History Education. The University of Melbourne, Australia | Higher Education Curriculum Redesign. HERMES awarded ANZAC Centenary Grant to capture and disseminate what ANZAC means to young Australians and their communities.